Air duct cleaning is not as easy as you would think. As these ducts are often built deep into the building, it is very difficult for anyone to thoroughly clean out the entire system. Cleaning the system, as well as performing air filter replacement and HVAC unit cleaning, will take plenty of time to finish. Despite how time-consuming and difficult it is for a person to clean out the duct, it is not surprising to see that people continue to attempt to do so anyway, despite the clear magnitude of the task. Air Duct Cleaning Hollywood lists two important points to note while preparing for a duct cleaning session. When it comes to cleaning a dryer vent, the most important part that should be done first is to make sure the entire system is off. In addition to allowing air to blow into the building, duct systems serve to connect various appliances that regulate temperature, like air-conditioning units and heaters. Whenever any of these appliances are activated, air will proceed to travel through the system. Just by making sure that all these systems are off will be enough to prevent silly accidents where dust blows all over the person before he starts performing maintenance. One other important thing to remember when it comes to air duct maintenance is making sure the right tools are available. 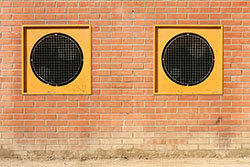 As ducts are quite vast, it is important to cover as much of the system as possible. Most homeowners can perform sufficient maintenance with a vacuum cleaner that uses a hose and nozzle attachment. The basics are always important, even when it comes to duct maintenance, as knowing them can help make cleaning much less of a pain for anyone involved.